Last week we discussed the impact car loans have on our debt levels. This week we’re taking a larger bite out of secured debt and discussing how homeowners cope with their debt, and what they do to hold off insolvency. First some background on homeowners and debt. As you may remember, we published our Joe Debtor study at the end of March 2017. This study takes place every two years and analyzes data from insolvent debtors from across Ontario. When it comes to homeowners, we’re seeing a steady decline in the rate they’re filing insolvency. That doesn’t mean they’re without debt, it just means they’re getting creative with how they hold off insolvency. Although only 17% of all insolvent debtors in our 2017 study were homeowners, roughly 30% of people who call into our offices are homeowners looking for help dealing with their debt. Because home values are so high right now, it may make more sense for the caller to pull from their home equity to help pay off their existing debt, or even sell their home to pay off their debts in full. Assess the full cost of purchase: In addition to your mortgage payments, make sure to factor in utility costs, property taxes, and any repairs into your budget. Remember that if you’re getting by with paying $1,500 in rent now, that doesn’t necessarily mean you can manage a $1,500 monthly mortgage payment after everything else is factored in. If you’re not sure how to plan for these costs, speak with someone you know with a home that’s similar in size to what you would purchase. See what their costs are and use those as a guideline. Remember: a bigger house means more space, which also means more furniture. Don’t buy too big and get overwhelmed with wanting to fill every room. Shorter amortization terms are better: This ties into our podcast from last week with car loans. Don’t tell them what you can afford as your monthly payments, but clearly state how much you would like to spend. Sure, you could afford your dream home if your amortization period is 30-years, but how much of that would you pay in interest? Calculate how much you would save on a 20-year term, or a 25-year term. Make sure to keep tip #1 in mind when calculating these costs. Have as big a down payment as possible: The larger your down payment is, the less money you’ll have to borrow to purchase your home. This means you’re spending less on interest over the course of your loan, and it may make those shorter amortization term payments that much more manageable. If you get into trouble, get professional advice: Once you do purchase your home, you’ll find that credit is easy to come by. In addition to the options you had before you were a homeowner, you now also have access to pulling from your home equity. Don’t put your house underwater by over leveraging it to help with your day-to-day expenses. Doug Hoyes: Last week I played a segment from the Ask the Expert show on 570 New In Kitchener where I was interviewed by Dave Calendar about car loan debt. Today I’ve got the second half of my other interview with Dave where we discuss the other big purchase we finance in our lives, real estate. We talk about what we learn from our Joe Debtor study about home owners and debt and I give lots of practical advice on how to deal with debt if you’re a homeowner. Here’s my Ask the Experts interview on real estate and mortgages. Dave Callander: Thanks so much on joining us today on Ask the Experts, my guest is Doug Hoyes of Hoyes Michalos Licensed Insolvency Trustees. You’ll find offices in Kitchener, Cambridge and Guelph and quite frankly right across Ontario. If you’d like to get a hold of the office nearest you just pick up the phone and call 310-PLAN or learn more online at hoyes.com, that’s -ho-y-e-s-dot-com. Today on the show we’ve been focusing on cars, that’s how we spent the first of the show doing but now we’re going to talk about another area where a lot of folks get into debt problems and of course that’s real estate. So, the real estate market in Ontario at the moment is – it’s not booming it’s kind of exploding and I understand from your recent Joe Debtor study that homeowners are still getting into trouble. So, two questions what is your Joe Debtor study and what does it tell you about real estate? Doug Hoyes: Thanks Dave. Our Joe Debtor study is a study that we do every two years so we released it in the spring of 2017; this was probably our fifth or sixth study. What we do is we take all of the data from all of our clients over the last couple of years, because if you file a bankruptcy or consumer proposal with Hoyes Michalos, obviously it’s a legal process, we’re required to gather a bunch of data, obviously your name and address but a whole bunch of detail on your debts, your assets, your income that sort of thing. And we crunch all the numbers and a look at all the different trends. And what we found this year was quite interesting actually. The average person on the street would tell you oh well I think bankruptcy is caused by, you know, reckless spending and things like that. And our data proves that no, that’s not the case at all. Our Joe Debtor, we call Joe Debtor, this is the average person that we deal with, our typical client, that’s just the name we made up for him, he’s got money problems and he’s got these problems even before he gets into debt. This is a key point here. So, the debt is the symptom, it’s not the actual problem. And in a lot of cases his money problems are caused by lower than average or sporadic income. A lot of people today work a number of part-time jobs because they don’t have one full-time job. We see this particularly with millennials. I get up at 5:00am because I do the shift at the coffee shop from 6 till 10, I go home, I get an hour’s sleep and then I get back on the bus for my hour long ride for my second job where I’m working retail from, you know, 6 till 10. And unfortunately if one of those jobs gets interrupted then I’ve now got a problem. We’re seeing that more and more. So, it’s lower income or sporadic income but then you combine that with the rising cost of living. I mean everyone knows costs keep going up. This like your hydro bill for example, it’s not like it’s going down every month. So, our typical client is struggling to make ends meet. So, what does he do? Well, he uses debt to keep up and eventually he hits the breaking point, can’t do it anymore and ends up having to file insolvency. So, that’s the typical profile of the person we’re dealing with. Now you asked me a two-part question what did Joe Debtor say and what does it say about homeowners? So, you’re right, at the moment the real estate market is booming and again, I’m talking specifically about the Toronto, Southern Ontario area. There’s other areas like Fort McMurray that’s not doing quite so well at the moment. But it’s booming and so homeownership is not a significant contributor to the current insolvencies in Ontario. In other words if you’ve owned a house for the last five years you’re probably in pretty good shape. If you’ve been paying down your mortgage and your house has been going way up in value, you’re fine, not an issue. However this does not mean that homeowners are not feeling financial pressure. High home prices, rather than contributing to insolvencies are temporarily masking a future financial risk. So, you know when you’ve got a cold and you got and you get some cold medicine from the drugstore and you feel better for a few hours? Doug Hoyes: Is your cold gone? Well, no you just don’t feel the symptoms of it. And that’s exactly what we’re seeing in the real estate market right now. Here’s the problem, insolvent homeowners have already, in other words the people who are coming to see me for help who own a home, have already overleveraged the equity in their home. So that means they’ve borrowed as much as they can against their home. So, in the old days you go out and get a mortgage if you had 25% down was all good. If the price of the house went down 5 or 10% it didn’t matter you could still sell it, get all your money out. Well now, we get a mortgage for as much as we can and with CHMC insurance you can, you know, if it’s a new home you’re buying you can have as little as a 5% down payment but we also see people who then go back and get a second mortgage or get a line of credit also secured by the house. And in addition to that we find they end up maxing out their credit cards, their lines of credit, their personal loans so they no longer have enough equity in their home to cover or refinance their other debts. And again, it’s not hard to understand why. So you’re living in an apartment and you go and you buy a house. Well, now what do you need to do? Well, I got to buy a new couch, I got to buy some more furniture, I got to buy another bed, I’ve got to paint the place. I got to do a bit of landscaping. So, if you don’t have a bunch of cash sitting aside when you buy a house, you end up financing it and that’s how houses lead to things like credit card debt. And homeowners have very easy access to credit these days. So, even if a homeowner defaults the bank is more than happy to, you know, they figure they’re going to get their money out of the house. So, it’s easier if you’re a homeowner to not only get a mortgage but also to get credit cards and other types of unsecured debt. Let me throw some numbers at you just to kind of maybe round this out for the listeners. Of our clients, 17% are homeowners. Now that doesn’t sound like a big number and it isn’t. If you go back a couple of years to 2015 it was 24% to 2013 it was 29%. So, think about that. Three or four years ago almost a third of our clients owned a home and still got into trouble and went bankrupt or filed a proposal. Today it’s a much lower number. The average mortgage that our clients are carrying is just over $191,000, the average home value is $224,000. Of course an average number is a meaningless number. In Toronto there’s no such thing as a $224,000 house. But when we look at the entire province that’s the numbers we’re seeing. 9% of those people have negative equity in their home before, even before considering selling costs. And only 57% have a significantly positive net realizable value. 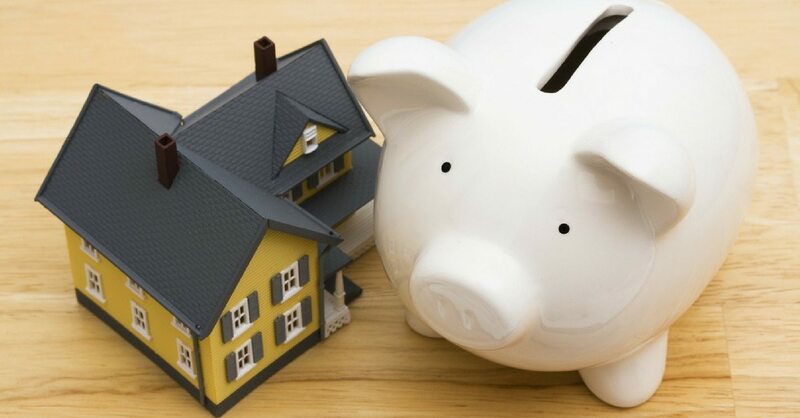 However even the equity in their home isn’t enough to cover their unsecured debts. So, it’s a significant problem. Have we got time for me to throw more numbers at you here? Dave Callander: We’ve got lots of time. Doug Hoyes: Let me throw some more numbers at you. In fact when we did our Joe Debtor study our average client had unsecured debt. So, again unsecured debt means there’s no asset attached to it, we’re not talking car loans, bank loans. They had unsecured debts of just over $50,000. However, if you were a homeowner and ended up filing a proposal with us your average unsecured debt was over $72,500. So, think about that. You own a home and you’ve got a mortgage and in addition to that $72,500 and that’s made up of things like credit cards, you know, credit cards and personal loans account for about 75% of that. A homeowner has 72% more credit card debt than a non-homeowner. And they’ve got 79% more in personal loans than a non-homeowner. And again, why is that? Well, I got a home so the bank will lend me money. Doug Hoyes: And we think hey, that’s great, the bank is lending me money, I guess I should borrow more. Interest rates are low, this is great. We’ll talk about that in a second segment but it’s only great if you can actually pay it off. 95% of our clients who own a home have credit card debts and on average they have more than four of them. So, it’s not like you’ve just got one that you’re carrying a balance on no, you’re giving me this quizzical look, it’s true Dave. These are actual real numbers I’m giving you over four credit cards. Dave Callander: Now are we talking about the major ones or are we talking about department stuff as well. Doug Hoyes: All of the above, all of the above. So, it starts with the major ones but typically if you bank at ABC Bank you’ve got their credit card but it’s very common to also have the gas card and to have the department stores and maybe one of the non-bank credit cards. I’m not going to mention any names here because I don’t want you getting sued here Dave but very common to see that. A homeowner who comes to see us typically has four credit cards that they owe money has, a non-homeowner only has three, which is still a big number. But again, when you own a home it’s that much easier to borrow other money as well and that’s where you get into trouble. Here’s another stunning statistic. Thirteen percent of homeowners who come and deal with us owe money on a payday loan, which is the highest and most expensive form of borrowing, 13%. Now non-homeowners it’s almost a third, 28% of them have payday loans. But even someone who owns a house, has a significant mortgage, they get into cash flow trouble and what do they do? They resort to a payday loan. I’ll make one final comment on this and that is that I said back in 2013 about a third of our clients owned a home and today it’s only 17%. However about a third of the phone calls we receive from people are from homeowners. So, homeowners are feeling the pinch, they’re stressed out, they’ve got more debt than they can handle so they’re still calling us but our advice to them is you know what? See what your house is worth, maybe you can refinance it, maybe you can sell it. And what’s been happening over the last year or two is their house has gone up in value so much that yes they can actually refinance or sell it, and as a result they don’t need to do a consumer proposal or a bankruptcy to deal with their debts. But what’s going to happen when house prices stop going up? Well, you won’t have that ATM machine there to go and continue to borrow. So, that’s the worrisome thing I see. We’ve been reliant on our houses for a long period of time it won’t last forever. Dave Callander: All of these numbers to me are somewhat surprising. Maybe not so much the fact that 95% have credit card debt, I mean credit cards are everywhere but I can’t get over this 13% of homeowners have payday loans. Doug Hoyes: Yes because – and the reason you get a payday loan is because you believe you have no other option. So, my mortgage is due on the first of the month but my paycheque doesn’t come in until the Friday which is the fourth of the month. So, what am I going to do? Well, the correct answer is you phone up a mortgage company and say look, really sorry but I’m going to be three days late and they’ll probably yell at you but fine it’s the first time you’ve missed a payment, three days late, not the end of the world. And then from there you can make a plan to not get into that mess again. But we don’t think of that. It’s like oh, I can’t miss my mortgage, they’re going to kick me out of my house. So you end up going to a payday loan and of course in Ontario they can charge $18 on every $100 you borrow. So, if you have to borrow 500 or 600 bucks to top up your mortgage payment, that’s a massive amount of interest. If you were to do that every two weeks, like borrow $100 and pay back $118 every two weeks for the year, that’s like 468% interest. You’d pay back $468 in interest on top of the 100 bucks. You cannot afford to do that. But even homeowners get into that crunch. So, that’s why I say owning a house is not the solution to all of your problems and in a lot of cases it just causes even more significant cash flow problems for people. Dave Callander: We’re going to take a short break. When we come back though we’re going to talk with Doug about his advice for homeowners so that we don’t get into these problems or if we are what the solution is. If you’d like to get a head start and get more information, go online to hoyes.com that’s h-o-y-e-s-dot-com or call 310-PLAN to get through to the Hoyes Michalos nearest you. Doug Hoyes: That was the first half of my interview on the Ask the Experts Show where I walked through some of the scary numbers from our Joe Debtor’s study. One of the key takeaways for me from that study is the massive amount of unsecured debt that homeowners carry. Obviously they have a mortgage, I get that, but they also owe a lot of money on credit cards, bank loans, lines of credit and even payday loans. And the interest rate on that debt is a lot higher than the interest rate on a mortgage. So, it’s a big problem. So, what’s the solution? What practical advice can I give you? Well, that’s the second part of my interview and it starts right now. Dave Callander: This part of the show we’ve been talking about real estate debt, talking about some of the numbers, the shocking numbers that affect people who are homeowners. But now we’re going to talk about the advice for people who find themselves in trouble. So, what’s your advice Doug? Doug Hoyes: Well, my advice, and this applies to homeowners, but it also applies to every other area of finances, is you got to start with a plan. So, take a step back and this is very hard to do because when you’re out there with your real estate agent looking at houses and you go oh, wouldn’t that be great, look at that pool, look at that big garage and oh the yard would be great for the kids and the dog and the goldfish and oh, it’s going to be fantastic. You let the emotion of it take over. And that’s fantastic, I mean you should like the place you live. I’ve got no problem with that. But it’s very important to separate your rational mind from your emotional mind and say to yourself okay before we go out and get all hyped up about all the different houses that are out there, what can I actually afford. And this is a difficult question if you’ve never owned a house because you say to yourself okay so I’m paying $1,500 a month in rent now so I can easily afford $1,500 in mortgage payments. So, there you go, boom, done. Did my analysis, took me 10 seconds. Yeah, but a house is a lot more than just the mortgage payment. And so I would strongly recommend you go talk to friends or family members who already own a house or who own a house similar to whatever it is that you’re going to be buying and ask them for the numbers. So, what do you pay in hydro, what do you pay in gas, what do you pay in property taxes? If you’re buying a condo, what do you pay in condo fees? And if it’s a condo that’s been around for a few years, you know, one of these big apartment buildings, what shape is the condo corporation in? Do they have a big shortfall or do they have a surplus of cash? Because if something goes wrong in the condo, if the elevators need to be replaced, if the roof needs to be replaced, if the parking lot needs to be resurfaced, well the number has to come from somewhere. If there isn’t a surplus pot of cash sitting in the condo corporation, guess what? You the individual owner get hit with an additional assessment. So, are you able to kick in an extra five grand if that’s what the condo corporation says they need, you know? Dave Callander: I hadn’t thought of that, yeah. 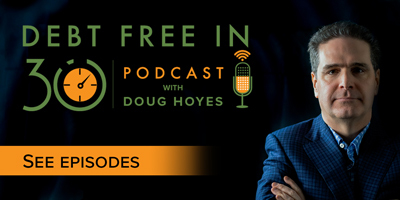 Doug Hoyes: So you have to think through all the possible costs that you haven’t thought of and the best way to do that is to talk to somebody who already owns a house or owns a condo or owns something that is similar. You buy a house out in the country, hey that’s great, I don’t have to pay water and sewerage and everything. I’ve got a septic tank, it’s all great. Yeah, okay how often do you have to get the septic tank pumped out? What happens if your well breaks, how much does that cost? You know, when is the roof going to need to be replaced, how much does that cost, how much does a furnace cost, an air conditioner and even just the monthly and regular maintenance costs. So, how much do all those things cost? And you got to add those into your budget. So, the $1,500 you’re going to be making in mortgage payments might actually be more like $2,500 a month by the time you add in property tax, repairs and maintenance and whatnot. And that’s ignoring any new things you want to do. We’d really like to put in addition on, we’d like to put in a pool, we’d like to do this, we’d like to do that. Again, fantastic, but figure out in advance, can you actually afford it. Number two would be, and I said this in the car segment earlier, keep your amortization period as short as possible. So, again don’t think in terms of well, I can afford $1,500 a month so let’s get a mortgage that’s $1,500 a month. Okay, well I guess the bank would give you a 30-year term then. Making it a 25-year term or a 20-year term or a 15-year term is going to save you a massive amount of money. So, what I would suggest you do is go online type in the phrase mortgage calculator or mortgage amortization schedule or whatever, there’s tons of them out there, and punch in the numbers. Boy, if I shorten the term from 25-years to 24-years, how much money do I save, how much money does my monthly payment go up? The more, the shorter you can make it, the better. And of course the other way to make it shorter is to have as big a down payment as possible. And this is a really sensitive issue these days because everyone is I’ve got to buy a house now because houses are going to go up more tomorrow. I’ve got to jump in, I’ve got to jump in. Well, by waiting an extra year, how much more money can you save up? And I get it, in the overheated market we’re in here in 2017 that’s a very, you know, worrisome thing because house prices might be a lot more in the future. But the bigger a down payment you can have the better. So, again talk to your financial advisors if you’ve got money in an RRSP maybe it makes sense to use the new homebuyer program if you’ve never owned a home in the last five years to take the money out. But you want to have as big a down payment as possible. And then finally if you do get into trouble then get professional advice. And so, let me kind of walk through what we do in those cases because as we said in the first segment, 30% of the people who call us are homeowners. Today a lot of them don’t need to file with us because their house has gone up in value. But when someone who is a homeowner calls me, I ask them a bunch of questions. Okay, how much other debt do you have, what are your credit cards, bank loans and whatnot? And we know from our statistics that the average homeowner has over $70,000 worth of unsecured debt, credit cards, bank loans, taxes and so on. So, can you pay that off on your own? What is your house worth? And in this day and age a lot of people don’t know what their house is worth because values are changing so quickly. So, my advice there is talk to a real estate agent and ask them what your house would sell for if you were to list it and sell it quickly. So, not if we put a new roof on it, repainted it, did a whole bunch of landscaping but as is, what would our house be worth? And get them to give you that in writing, most of them will do it for free. Then you want to call up your bank and say how much would it cost to pay off my mortgage today? What’s the buyout number? Well, now you know, we can calculate if you were to sell the house, pay off the mortgage, pay off the real estate commissions, pay what’s owing on taxes, any other charges or penalties, how much would you actually get for that house? And if the answer is well, I could get $200,000 for my house and I got $50,000 worth of other debts okay then pretty simple, either sell off the house and pay off the debts or consider getting a second mortgage, refinancing a second mortgage, whatever. And I would suggest that you talk to your bank but perhaps also talk to a mortgage broker to get a couple of different opinions on what it’s worth. So, can you work out the problems on your own? That’s question number one. If you can’t we can help you explore other options. So, the most common solution by far if someone is a homeowner but also has a whole bunch of other debt, is a consumer proposal. I’ll give you a scenario where the equity in my house is, I don’t know, let’s say $20,000. Okay, we did the math, here’s what it would sell for, here’s what’s owing on it, it’s $20,000. My total debts are $70,000. Okay well, if I sell my house and get $20,000 that won’t be enough to pay off my debts. But what we might be able to do is go to all the people you owe money to, the banks, credit cards, payday loans, income taxes, whatever, and we can say well, look if I go bankrupt and they sell my house you get $20,000, how about we make a deal where I pay $30,000. How about I pay $500 a month for the next five years? That’s $30,000, that’s more than you guys would get in a bankruptcy but I don’t have to sell my house, I could but I don’t have to so it’s a win-win. I keep my house but I also get my debts under control and in that scenario we can quite often work out a deal. And the beauty in a consumer proposal is you can – you’re in full control. You can keep your house or sell it, you might decide six months into it that you know what? I’d like to sell the house and get my money out, no problem you can do that. So it’s a much more flexible option. Dave Callander: Finally as we wrap up the show today, we’ve got about a minute left. What is your advice for anyone who’s starting to experience financial troubles? Doug Hoyes: Debt problems do not go away on their own. So, if you are at all worried that you have debt problems, you probably do. Give our office a call Hoyes Michalos 310-PLAN, that’s 310-7526 or go on the internet hoyes.com h-o-y-e-s-dot-com, we’ve got tons and tons of information. We’ve got over 100 videos on our YouTube channel, I’ve got a podcast that I do every week. There’s well over 100 episodes there. We’ve got tons of information. You can come in and talk to us absolutely for free either on the phone or in person. Don’t wait, your debt problems are not going to go away on their own. Dave Callander: Alright. Doug, thanks so much for being on the show. Doug Hoyes: Thanks for having me Dave. 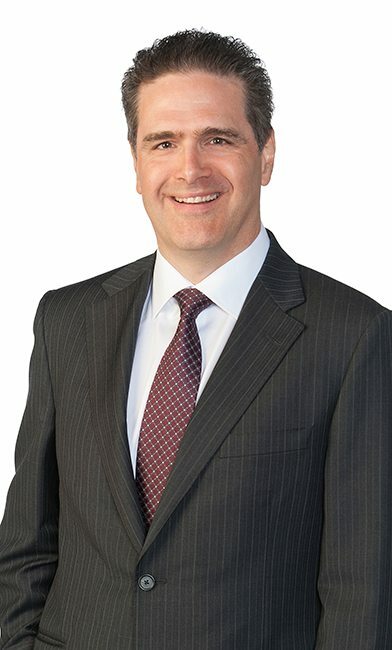 Dave Callander: And again if you’d like to get a hold of the folks at Hoyes Michalos, licensed insolvency go online to hoyes.com or all 310-PLAN. Doug Hoyes: That was my interview with Dave Callander on the Ask the Experts show on 570 News. That’s our show for today. Full show notes, including a transcript of today’s show can be found at hoyes.com that’s h-o-y-e-s-dot-com. Thanks for listening. Until next week, I’m Doug Hoyes. That was Debt Free in 30.